Daily Dictation Members: Join DDM LIVE! Have personal English lessons with me! Study listening skills, get pronunciation coaching, learn about culture! Over 20 hours a month for a VERY low price! 8 DDM lessons for free NOW! If you join DDM LIVE (Daily Dictation Members LIVE), you will be receiving extended DD (Daily Dictation) classes. BUT if you REALLY want to learn about pronunciation skills, if you REALLY want to improve your listening skills, if you REALLY want to learn about the cultural/historical background of the stories, you should join DDM LIVE! Only if you join DDM LIVE will you learn about the entire article/story/scene. 8 classes EVERY month! ALWAYS NEW, ALWAYS FRESH! 1. Original video file for dictation. 2. A text file for dictation. Of course, you get an answers text file AND a glossary. 3. An MP3 file of the original video. 4. A class giving you the answers and explaining the pronunciation (an average of 30 minutes each class). 5. A class explaining the story and giving cultural/historical background. (an average of 30 minutes each class). 6. 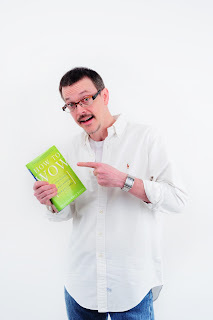 Every month you will have at least two LIVE classes with Coach Shane where you can ask questions about the material, check your pronunciation and CHAT!! You can pick the time that is best for you. The monthly schedule changes--you will get an email with the schedule! 7. Access to our DDM community where you can practice with other DDM students! How can you join? You have to buy a membership. On the RIGHT SIDE of this blog is the payment process. PayPal is the easiest way. Unfortunately, for some people, PayPal doesn't work. In that case, another way to pay is by using Western Union. WESTERN UNION. If you want to use WU, please email me and I will give you my name and address! 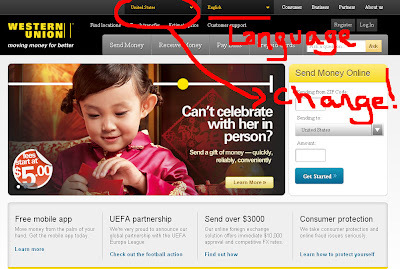 www.westernunion.com Just change your country and follow the instructions. You might have to change the language, too. If these payment methods do NOT work, I am sorry...I don't know of any other methods. If you have one to suggest, please let me know and I will look into it. BUT, I do want to add, I will be offering SCHOLARSHIPS (FREE tuition) to some people from time to time. So keep watching DD and pay attention!! How do you receive your lessons? 1. Dropbox. You can download everything! 2. YouTube. View the lessons in HD! You will be notified by E-MAIL when your new DDM video lesson is available. I will NEED your full email address that YOU use to log in to YouTube. (i.e., xoxoxoxo@gmail.com). In order to view the video files, you MUST be logged in with that email address. Also, most mobile devices work, but if you have problems, ask our "Let's Master English" community members for help! To cancel your order, just email me! PayPal transaction fees WILL be deducted from the order. 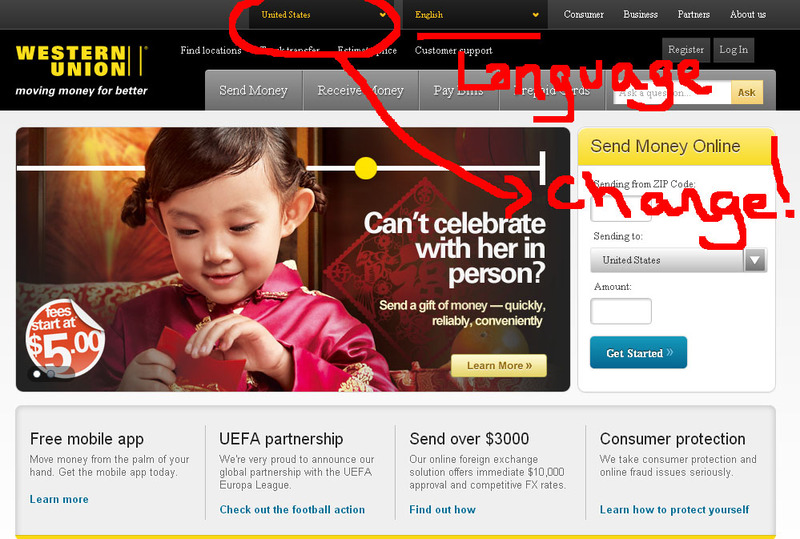 Unfortunately, people using Western Union are NOT able to cancel. Enjoy DDM and let's MASTER English! I want to join DDM and I tried to subscribe via paypal, but I could not, maybe because my credit card is not international. Could you show me another way to send your fees? I hope you got my email, Assis! I am sure that this blog might turn out to be beneficial for many of the English learners. I admire your efforts and the time you take to write this considerable detail here. Buy Coach Shane some COFFEE! !